Tai Chi Berkeley | Tai Chi Berkeley is Lenzie Williams' school of Cheng Man Ching style Tai Chi Chuan. Tai Chi Berkeley is Lenzie Williams' school of Cheng Man Ching style Tai Chi Chuan. Lenzie Williams prepared Thoughts on the passing of Laoshi Ben Lo for a November 2018 gathering in memory of his teacher, organized by Joanne Chang of the WuWei Tai Chi Club in Rockville, Maryland. Laoshi Lo passed away on 12 October 2018. Spring workshop in St Louis; East Coast Camp in Maryland: see Workshops page for details. 2019 Walker Creek Ranch Camp: June 16-21, 2019. See Workshops page for more information. 2019 Fall workshops in Washington, DC and Holland: see Workshops page for details. 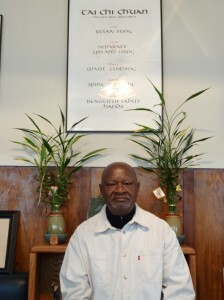 Tai Chi Berkeley is the school of instructor Lenzie Williams, a senior student of Laoshi Lo Pang Jeng (Mr. Ben Lo) since 1975. 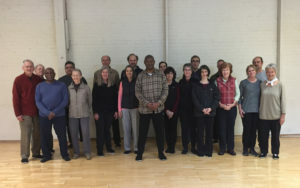 Ongoing group and private classes in the art of Tai Chi Chuan are taught in Berkeley, California. Workshops are offered throughout the year, in the United States and Europe. The form of Tai Chi Chuan taught and practiced at Tai Chi Berkeley is a shortened Yang-family form developed by Professor Cheng Man Ch’ing, who learned the art of Tai Chi from Yang family master Yang Cheng-fu. For information not provided on this site, please contact Lenzie Williams.